Tangy curry of paneer cubes cooked with baby corn and broccoli. I have taken the notes from Tarla Dalal cooking website. I have altered one or two ingredients and prepared it with the ingredients available at my kitchen. Cook baby corn and broccoli florets in water till it is 3/4 cooked. Remove from the heat and allow to cool. Heat oil in a kadhai and temper mustard seeds. Add fennel seeds, broken red chilies and grated coconut. Saute a while. Add chopped onions and ginger-garlic paste. Fry for 2 mins. Add chopped tomatoes and mash the pulp. Add turmeric powder, red chili powder, asofoetida and coriander powder. Cook for 2-5 mins. Remove from the heat and allow to cool. Grind it in a mixer to smooth paste adding little water if needed. Heat oil in a kadhai and add the grinded paste. Add paneer cubes, cooked broccoli and chopped baby corns. Add salt to taste, tamarind water, jaggery and salt to taste. Cook it covered on low flame till the oil separates. Add water if needed. Garnish with chopped coriander and serve hot with roti. Wow, what a combination of ingredients! This looks great! Wat an ultimate combo, wish to have with some rotis. 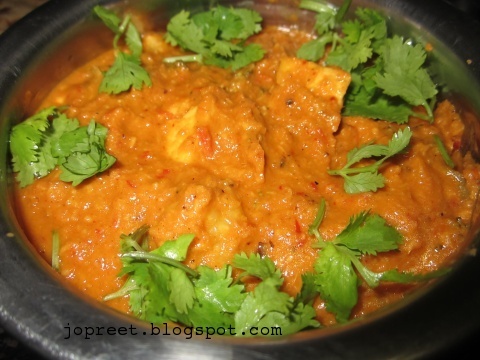 Sounds delicious and perfect with rotis…. Awesome recipe. Love this combo.